If you want potential buyers to choose your property over the competition, staging your home can make your house stand out from the crowd. 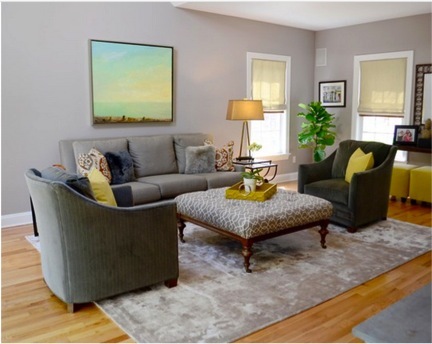 Staging is a new concept for most sellers, but a crucial step in getting your house sold. Presentation is everything! As a marketing tool it helps to get people in the door. Today’s buyers look on the Internet before contacting a realtor to show them the house. If you don’t have beautiful pictures of your property they will not take the time to visit your home. It also adds perceived value to your home which can translate into a higher sales price. 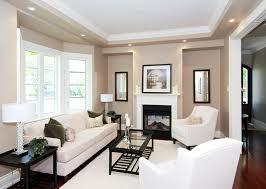 Home owners can make the changes themselves or hire a professional home stager. Professionals have an expertise that the home owner may lack to successfully stage their home. They comes into the home with an unbiased eye. They are not emotionally attached to the home or the objects within it, allowing them to be objective, which is essential for a successful stage and ultimately a quicker and profitable sale. Should you choose to do it yourself, here are some rules and tips to follow. People want to envision themselves in the house – not you. Children and wedding photos may be important to you, but are a distraction to the buyer and prevents them from seeing their family in the home. 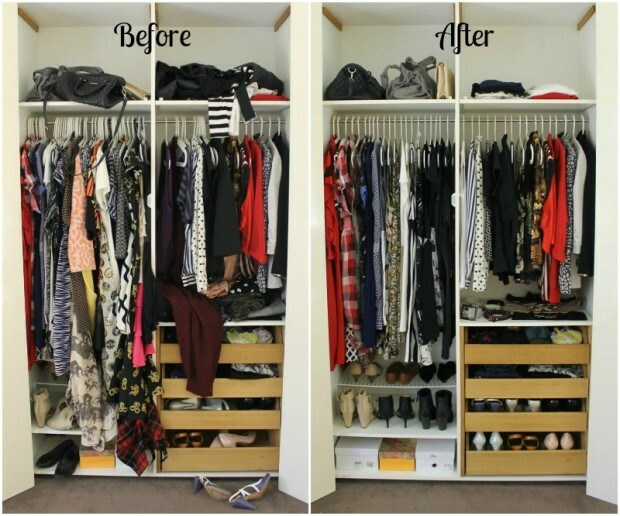 Declutter and organize. This will maximize the space in your home. 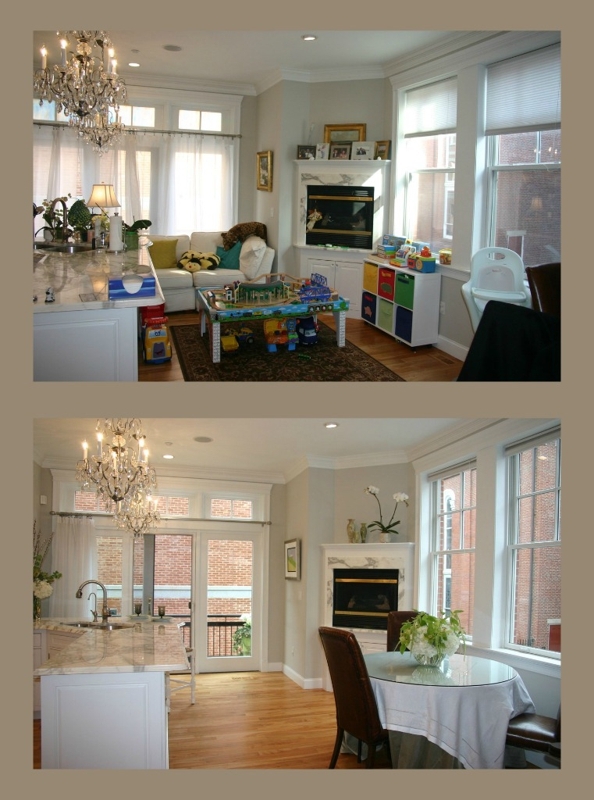 Children’s toys strewn about and rooms stuffed with that extra table or chair make the place seems small. Closets packed tight with clothes gives the illusion of a lack of closet space. Consider temporary off site storage. 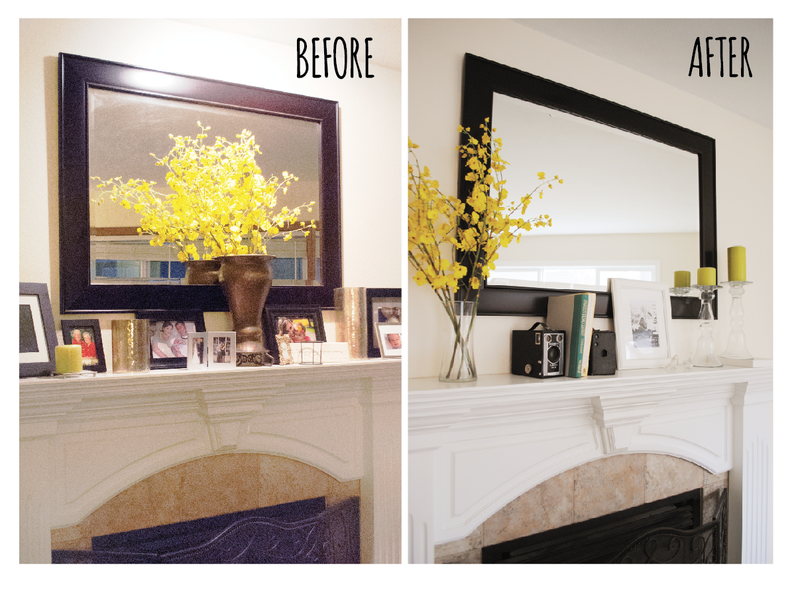 The easiest and cheapest way to stage your home is to just clean it. Dirty dishes in the sink, pet and garbage smells and grim in the bathrooms are a turn off for any buyer. Nothing is better than walking into a house that smells and looks fresh. Take the extra time to wash down walls, floors and baseboards. Clean, sparkling windows brighten the space. 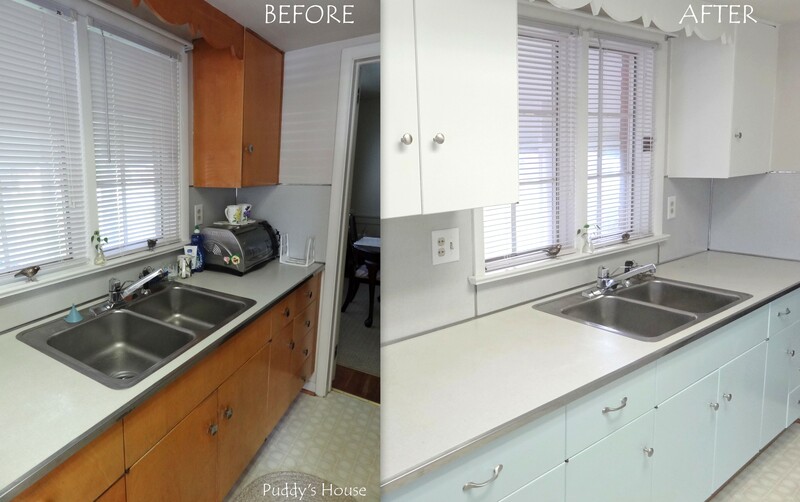 Unless you live in a new construction (2009-2014), or have done a recent renovation, every home can benefit from a little updating. Buyers will offer a lower price if they feel the house is dated. Simple changes such as replacing the kitchen and bathroom hardware from brass and gold to nickel or chrome creates a fresh, contemporary look. 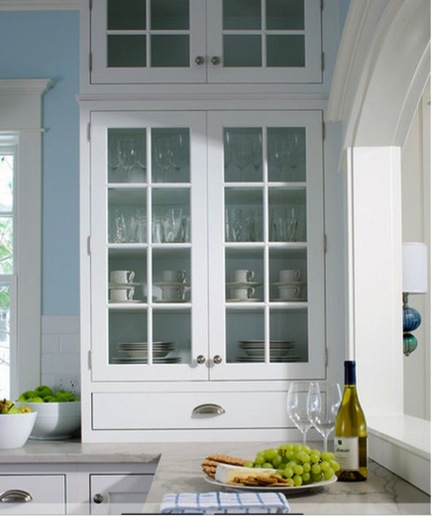 A new coat of paint, or stain, on those dated cabinets will dramatically transform the space. 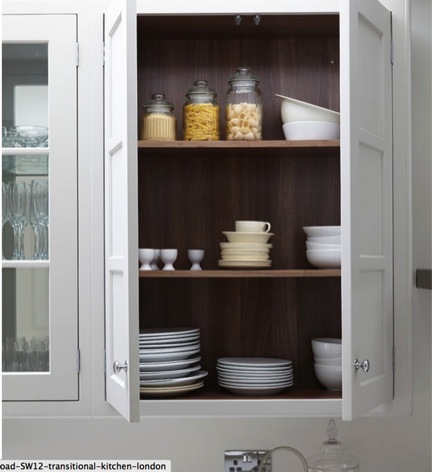 Organize cabinets inside as well as out. Color can make or break a buyer’s interest in your home. Your daughter may love her shocking pink walls, but the buyer will only see $$ signs if the colors do not match their own style. A new coat of a gender neutral color is one of the most inexpensive ways to change a look and also to modernize. 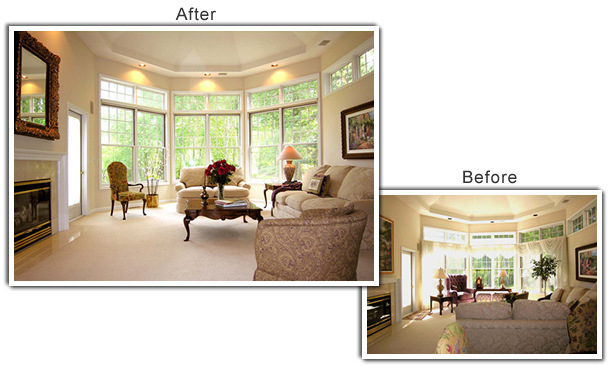 Consider removing or raising window treatments to allow the light in which makes a room feel spacious and inviting. Here are a few related articles you might want to read prior to putting your house on the market.